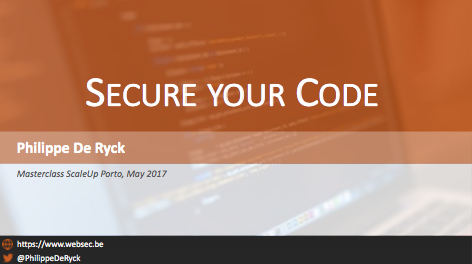 The slides from my talk about security in Angular applications at the ScaleUp Week in Porto. It starts out with Angular's built-in XSS protection, and continues with a deep-dive into session management in Angular applications. Topics such as cookie flags, cookie prefixes, CSRF and JWT tokens are covered.